Frank William Wood, better known as EAGLE BILL Amato, was a Cherokee marijuana medicine man known for popularizing the VAPORIZER, mostly used for vaporizing cannabis and promoting the use of medical marijuana. He was born in Cleveland, Ohio. Eagle Bill worked in the Hemp, Hash & Marijuana Museum in Amsterdam Holland were he demonstrated to thousands of visitors a proto-type of what we today know as a Vaporizer. Eagle Bill, who also developed a portable vaporizer called the ‘SHAKE “N VAPE‘, was known in Europe as ‘the ‘Father of Vapor’. 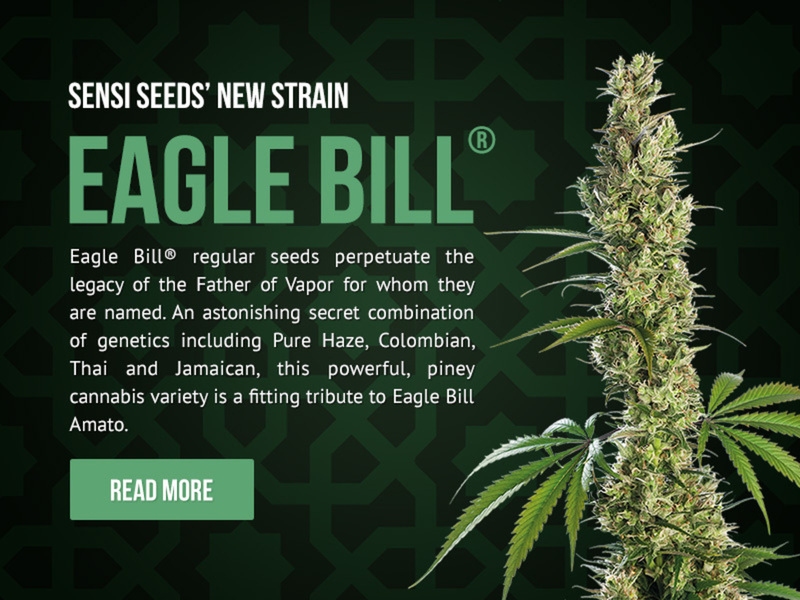 Also on this web site: Information about vaporizers, vaporizing, medical marijuana applications and Sensi Seeds’ new CANNABIS SEED STRAIN that was named after Eagle Bill.